B-Metro > Featured > How Far Would You Go to Lose Weight? 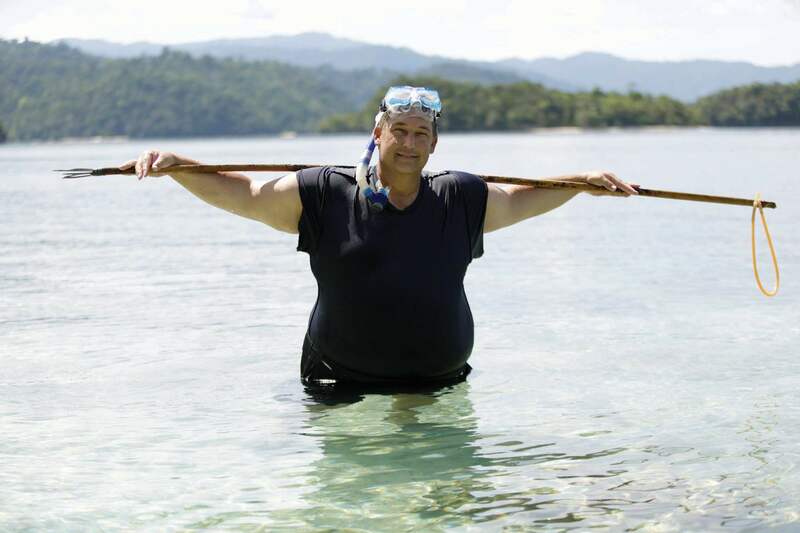 Homewood’s Robbie Gibbons was in the inaugural cast of ABC’s “Castaways,” a revolutionary series in which 12 people were stranded among a series of islets in Indonesia, testing their physical and emotional survival skills. Gibbons was one of only five remaining at the end. For Robbie Gibbons, 10,000 miles was about right. 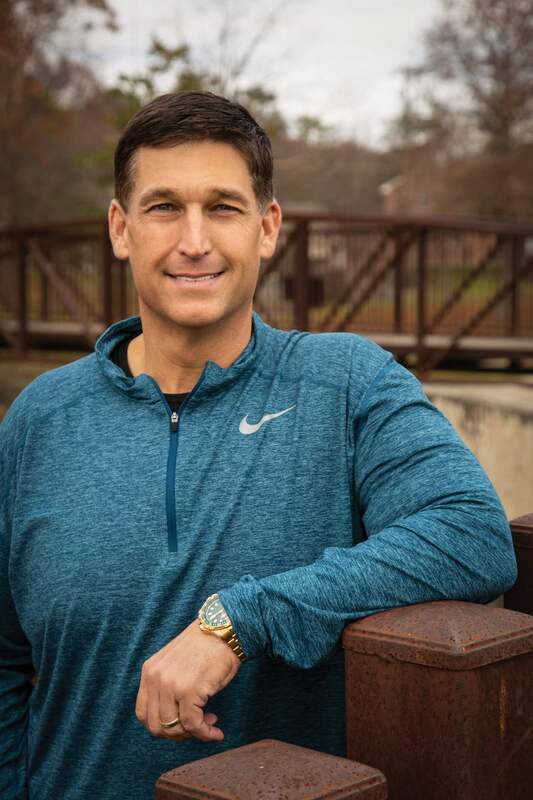 After years of struggling with weight gain and failed diets, Homewood Coach Robbie Gibbons landed on a radical idea. In order to achieve the mindset change he needed, he decided to leave home and risk everything to see what he was made of. His journey began about five years ago when Gibbons, a teacher and coach at Homewood Middle School, was driving down I-65, saw a billboard for the NBC show “The Biggest Loser” and felt it staring right down at him. When he learned the show—in which overweight or obese people compete to lose the most weight—was holding casting calls here in Birmingham, he returned to the billboard and got one of his kids to take a picture of him standing in front of it. He sent it in and earned a ticket to audition. “I went down and stood in line with these other 400-, 500-pound guys,” remembers Gibbons, who by then was up to about 360 pounds himself. “‘Biggest Loser’ liked me. I got a callback about five hours later for a one-hour interview.” That went well, too, so Gibbons was disappointed when he learned that he didn’t make the final cut. “It seemed like my dreams were done. I was never going to lose weight, ever. It was impossible.” He began to experience depression and went on to gain even more weight, calling it the worst period in his self-described addiction to food. Fast forward a few years, and Gibbons found an unexpected email in his inbox. It was from the casting team who worked on “Biggest Loser” inviting people to try out for a brand-new show for ABC. Only this one wasn’t about weight loss. As details emerged, it turned into “Castaways,” centered around a diverse group of 12 individuals who would be stranded among a cluster of islands in Indonesia to test their survival skills. This time, Gibbons won a spot in the inaugural cast for the show, which aired over 10 episodes in August and September 2018. And while he’d thought “The Biggest Loser” represented his last, best chance to lose weight, he says “Castaways” turned out to be the better concept for a more fundamental kind of change. It wasn’t just about eating less. It was about believing he could achieve anything he put his mind to. While the initial premise might sound reminiscent of “Survivor,” there were major differences between that show and “Castaways.” For one, “Castaways” wasn’t a competition—anyone could win just by making it until the end. But that was hardly a predetermined outcome. For one, no one knew what day the rescue team would arrive, so there were no days to mark off a calendar, hardly any sense of time at all. Food and supplies were scarce and randomly distributed, so they were largely on their own to source out coconuts and papayas or catch fish—whatever they could find to survive. Most challenging of all—since they were each dropped off separately—none of the Castaways had even met or knew how to find one another. Sheer loneliness, or failing to get along with the people they did find, was enough to drive some cast members to exercise their option to call for a rescue team and end their adventure prematurely. Gibbons seemed to know from the start that finding the others was going to be key to his mental and physical survival, and on day two, he had a lucky break. He heard a voice call out. “I was walking down the beach, and I thought I heard someone—barely,” he remembers. “And I stopped. Do I keep walking down this beach, or do I take a left into this jungle because I think I hear something? I ended up going in, and that’s when Kenzi and I met.” Kenzi Whittington, an aspiring country music singer in her 20s, ended up being the yin to Gibbons’ yang for nearly the entire experience. Together they carefully parsed out their resources and strategized. They talked through the challenges they were grappling with back at home, even as they pushed the limits of human endurance on the islands—dealing with dangerous gashes from the coral reefs, illness, at times extreme hunger. They also took in other Castaways who happened to find them—a group of five by the very end who made it until the Indonesian Coast Guard rescued them on Day 41, just shy of six weeks on the islands. He and Whittington had been each other’s support system throughout the ordeals they endured, but when he did return home, Gibbons found support through his wife, Brook, and their four kids. Gibbons has also joined a gym, something he was reluctant to do before—which might seem ironic for a former football player and current coach, but in his mind, going to the gym for himself, as an overweight person, was too daunting in the past. “I always feared, ‘People are going to look at me; people are going to judge me,’” he explains. “And I overcame that.” He loves doing exercise classes the most—a chance to be social and feel accountable to his new gym buddies who share his desire to stay active and healthy. 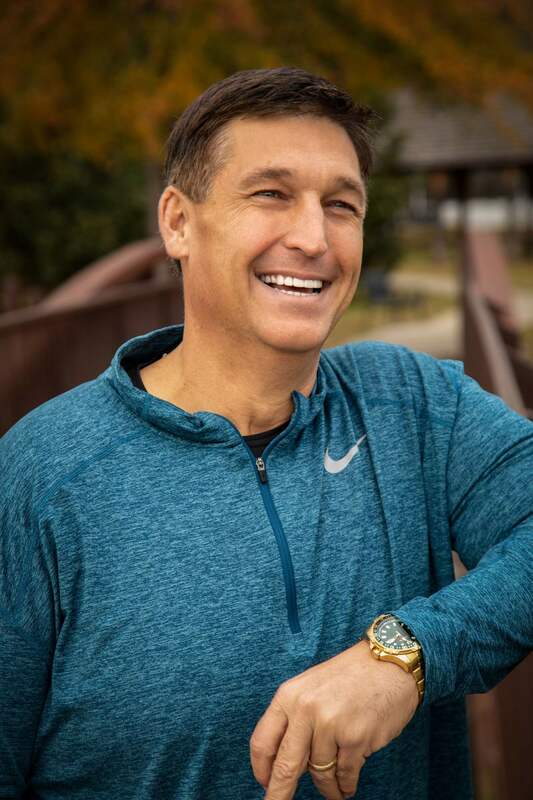 He also set a goal of working towards competing in a Spartan race, which he recently achieved alongside another “Castaways” alum, Sawyer Brown. Most importantly, Gibbons says his mindset toward food and health has changed completely. A very well-written article…applause for capturing the essence and purpose of this remarkable man’s journey! This writer is superb…Robbie Gibbons is a gem ! You are a fantastic leader! You found a way. You made it happen. The spirit of a champion and heart of determination carried you this far! Wow just think about that for a minute. You made your impossible, possible! I am so very happy for what you and your family has accomplished. Amazed at the hard work and positive change. This is real life, real struggles and so many eyes that have turned to you for hope and guidance and the way you have embraced giving back is beautiful. When the dust settles from tv and social media articles and interviews sometimes people forget you are a real person with real struggles on a daily. I am sure each day you have to make choices and do the work. This isn’t magic, all though it seems like you made it happen over night. This is the result of very very hard work. I just want to say Congratulations to you! You are worth it! You are doing it! Stay the course, keep the fight! We Got This! One sunset, one sunrise at a time! Lov this article. That was a journey of a lifetime, and YOU DID IT! I had faith in you. Knew it would be hard, but I knew you would make it. I am so glad I watched that show. You and Kinsey were my favorite partners.